The is our complete ECU package for those who'd like to tune using Crome Pro. Allows you to tune your own car and other vehicles (ie: you have multiple cars to tune, you want to tune your friends car, etc). Includes a specially prepared and tested OBD1 P28 VTEC spec ECU, Moates Ostrich, and Moates Hulog. ECU is fully prepared for plug-n-play use with the Ostrich and Hulog. All you need is a wideband O2 sensor and a Crome Pro license and you are set to tune with Crome Pro. If you'd like to program custom chips after you complete tuning, simply order a BURN2 chip programmer and extra blank chips and you are all set. * ECU is fully reconditioned with glass-bead blasted casing and powder coated top and bottom lids for a long lasting finish. 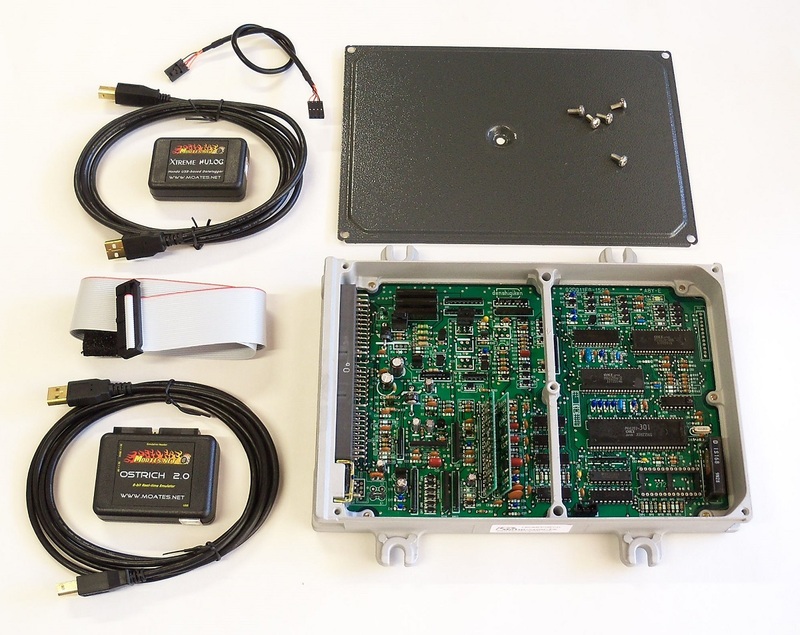 * ECU board is fully inspected and tested for trouble free operation. What else do I need to tune with this ECU package?